A day before the so-called “Jungle” camp in Calais starts to be pulled down and concerns are mounting among the refugees and migrants about what will happen to them. Where they will go, and whether groups can stay together, are the main worries. The French government’s planning to transfer those at the camp to reception centres around the country. Claire Mosley, Founder of the ‘Care 4 Calais’ non-governmental organisation, said they are trying to reassure everyone. “We are talking to them and giving them as much information as possible because we want to try and ensure by the time it gets to Monday, instead of people being shocked or angry or afraid, they are pragmatic, they know it’s going to happen, they know there is nothing they can do about it, they are ready and they just say, ‘OK, we knew this was coming, it’s time to go,’” she said. The squalid camp houses thousands of people who want to make it to Britain and has become a symbol of Europe’s failure to solve the migration crisis. A massive security operation will be mounted on Monday for the mass evictions. 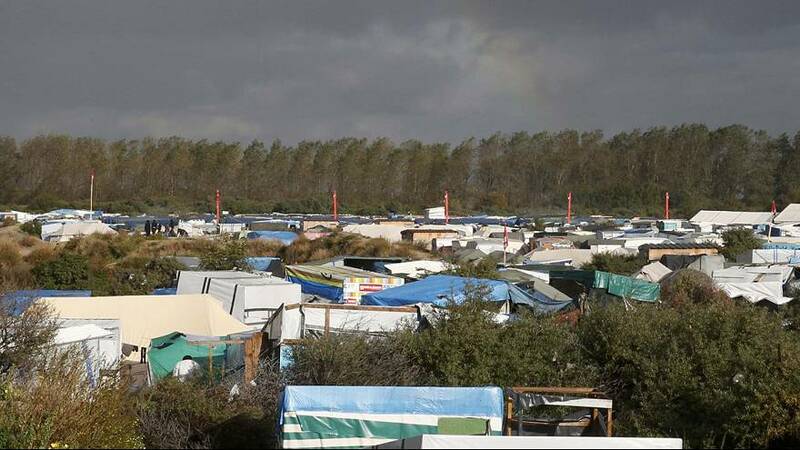 “This is the only camp in France. In Paris, everybody stays in the streets. But in this camp, it’s only… On Monday they’ll burn it,” said one anonymous refugee at the camp. Britain is allowing entry to some unaccompanied children and priority is being given to those with family ties in the UK. This, amid increased tensions between Paris and London over border security, with Brexit on the horizon.